You have more information than ever about your customers thanks to big data and technology. But you need more than large quantities of data to succeed with your sales and marketing strategies. The right data quality tools make the difference when you’re optimizing your productivity and maximizing revenue. Your customer relationship management platform provides your sales and marketing teams with the insights they need to connect with potential and current clients. If they don’t have the right information, it’s impossible for them to excel at their jobs. When your sales and marketing teams work with bad data quality in the CRM, they have to work harder to get the job done. Stale data slows down prospecting, sales opportunities get neglected, and staff has to spend precious time on data entry. Bad data costs U.S. organizations more than $1 trillion per year in direct and indirect costs, from incorrectly targeted sales & marketing strategies to re-doing the same work over and over. You can’t afford in time and money lost to have data quality problems in your company. Data quality tools operated by experienced data admins offer the best solution for fixing these issues. When you have clean data, your sales and marketing operations become built-for-speed. RingLead is a data quality tool with many features that empower sales and marketing professionals. A de-duplication engine eliminates duplicate records, the lead capture solution automates prospect research, and there’s built-in integration with Salesforce and Marketo. DiscoverOrg is another data quality tool that provides lead lists with guaranteed accuracy, a significant decrease in sales and marketing research time, and continuous refreshing of data sources to ensure good quality. 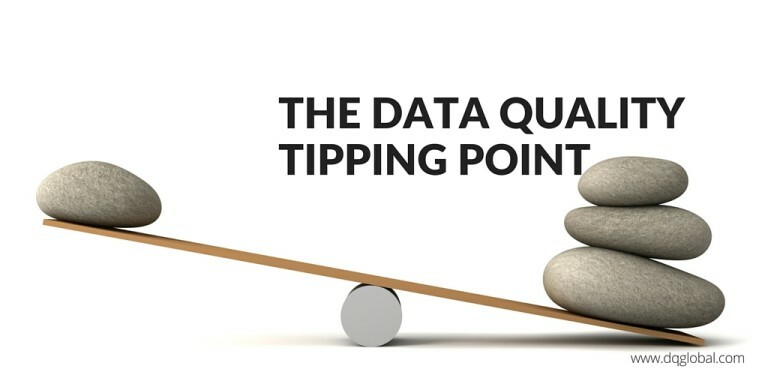 You might not realize how much money your organization loses from poor data quality issues, but you’ll see the difference soon after implementing data quality tools. Make it easy for sales and marketing teams to become built-for-speed and keep the sales revenue coming in.